A sturdy straw hat was an essential accessory to have on the prairie that could be as pretty as it was practical. 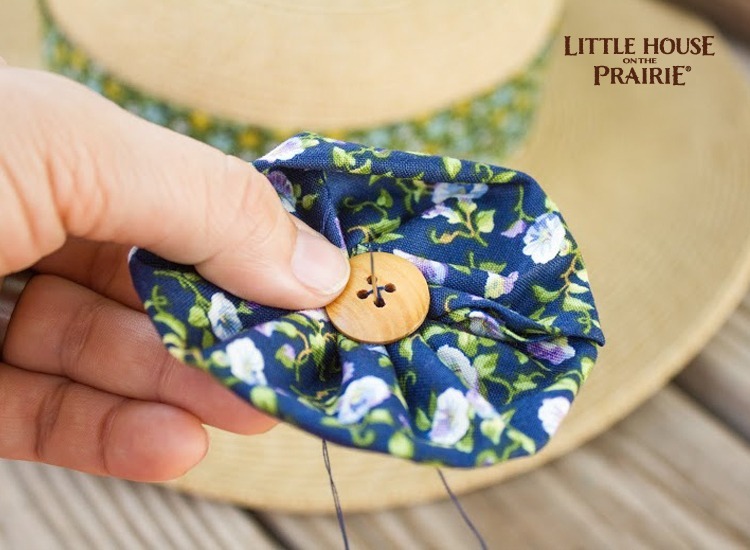 With just a few supplies, including the great new Little House on the Prairie® fabric line from Andover Fabrics, and a little bit of extra time, anyone can add some fun to their functional straw hat! 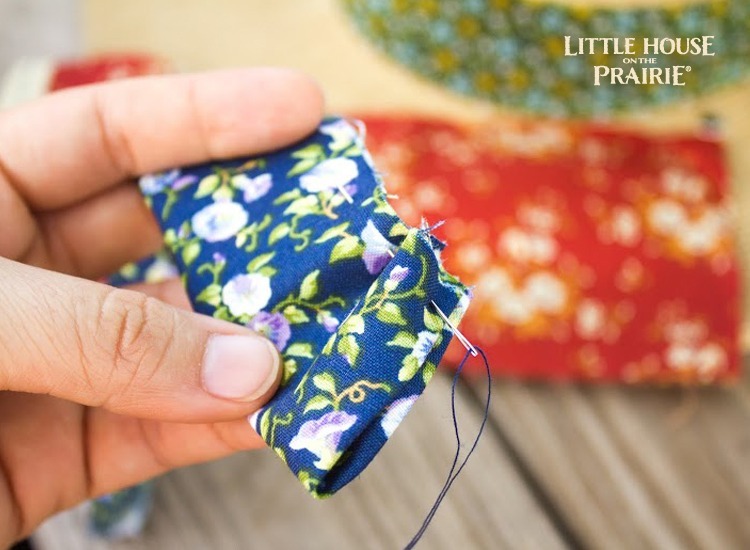 Little House on the Prairie® fabric for quilting and sewing (available at a local store near you or online here). Step One. Decide on the fabric you would like to use as a band or as a flower. You can either make both (as shown in my pictures) or just stick with one. Another pretty option is to group a handful of handmade flowers together on the straw brim! Step Two. 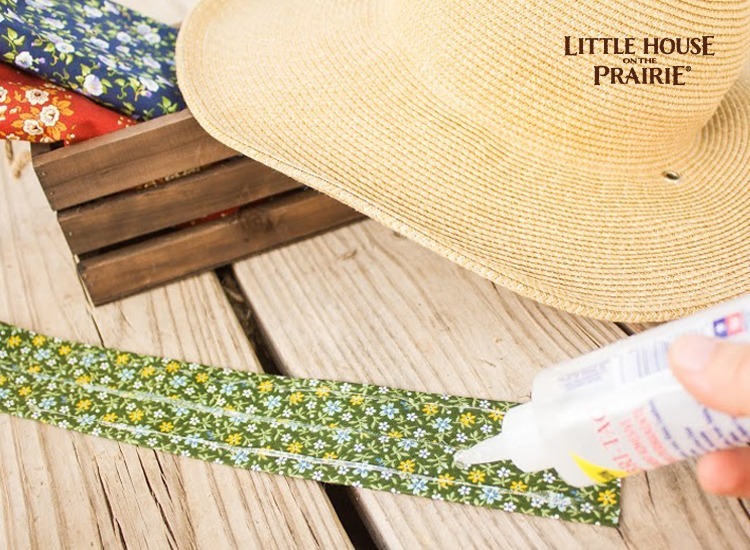 To make the band, cut a 4″ wide strip of the Little House on the Prairie® fabric long enough to go around the base of the hat. You could also leave the strip a bit longer so that the two tails hang off the edge of the hat. 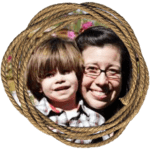 There really are so many ways to customize this tutorial! Take your newly cut strip and fold the long sides inward, pressing as you go with an iron. Apply fabric glue to the back and glue in place on the straw hat. Step Three. To make the flower, cut a 3″ x 6″ piece of fabric. Fold 1/2″ inward on the ends to create a neat, folded edge as pictured. Then fold the fabric in half length-wise. Hand sew a loose stitch along the entire raw edge. Holding one end of the fabric and thread tight, pull the thread to bunch the fabric on the top side tighter together. This pulling action on one side will automatically create a flower shape. Step 4. Sew the two ends together to secure a flower shape and use a button to finish the middle! 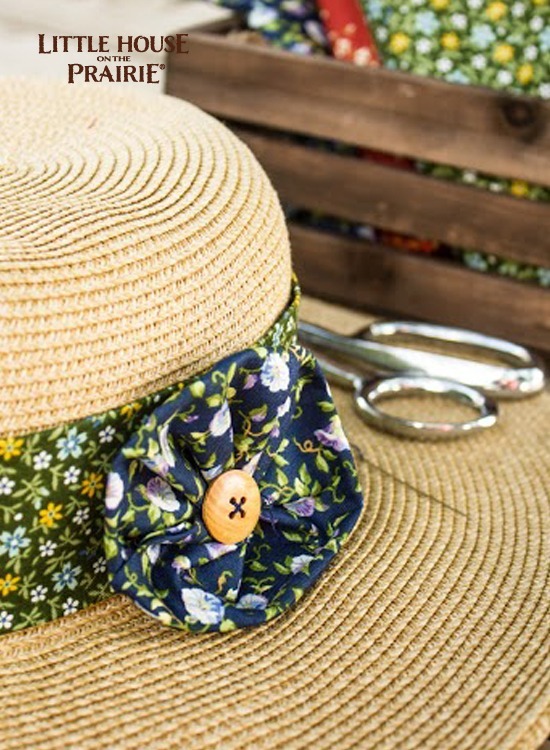 Sew your fabric flower in place onto the fabric band or directly onto the hat if you’ve skipped the fabric hat band. 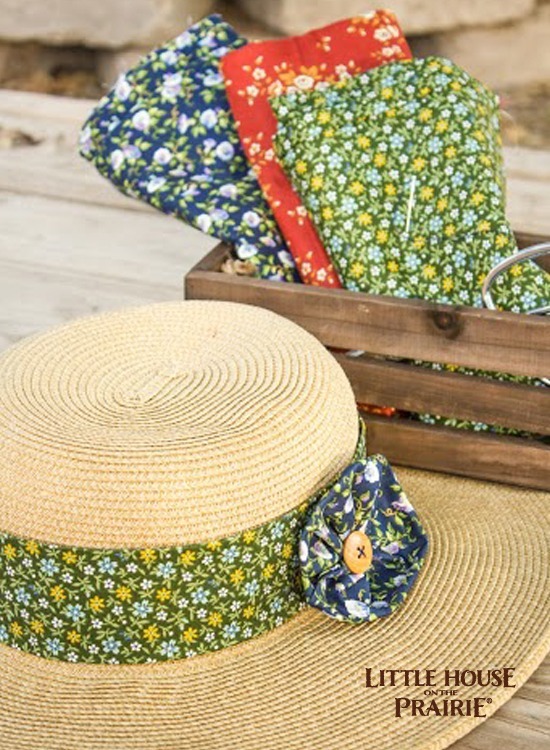 You’re going to love the new Little House on the Prairie® fabrics from Andover! The quality and weight to the fabric not only makes it beautiful to the touch but also a dream to work with. It’s nice to know that there are some things, like well-made fabric and accessories that will always stay in fashion. Find a store near you and try a Little House on the Prairie inspired craft today. Or purchase the fabrics online at Fat Quarter Shop. 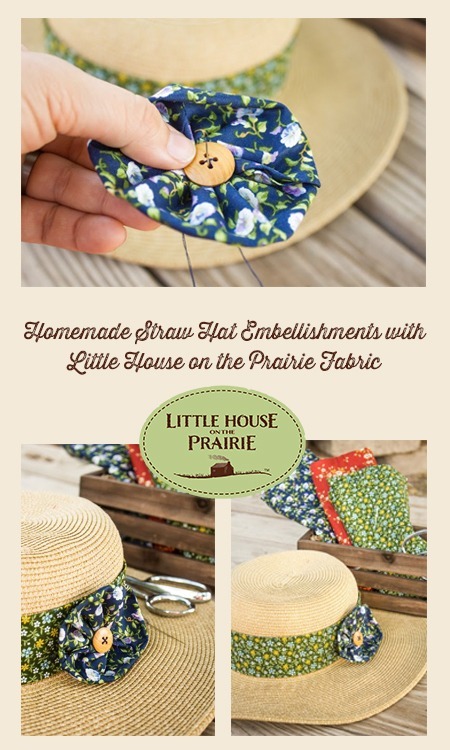 If you enjoy these old-fashioned activities you will love our free Little House on the Prairie newsletter with our latest DIYs and inspirations.